FALL IS HERE!!! And so are apples, pumpkins, sweet potatoes, oh my! 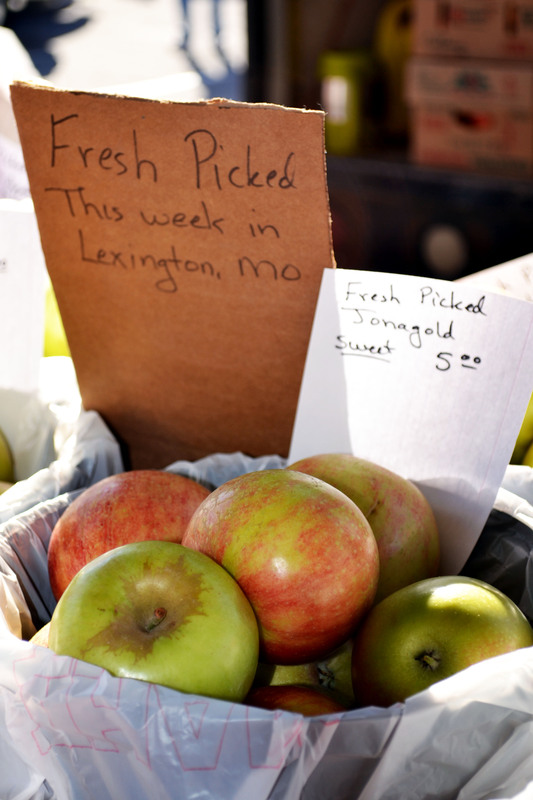 The farmer’s market was bursting with apples. Yes, I looooove apple and pumpkin season. Just you wait…I’m obsessed with pumpkins…but that will be a later post (or ten). I also love love love breakfast. 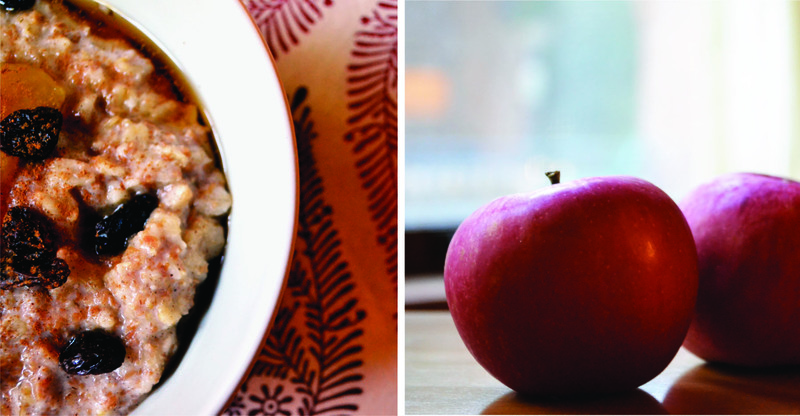 With cool mornings, I crave a warm hearty bowl of oatmeal with apples and cinnamon. So this morning I made a hearty batch for K and I. MMMmmm. Nothing smells better to me than warm baked apples with cinnamon. Well, maybe warm baked pumpkin and cinnamon. Or pumpkin, apples, and cinnamon. Oooh. But like I said…that’s later. Making oatmeal with milk is a great mix of carbs and protein to give you fuel for a good run or just simply to keep you full until lunch. Almond milk would work well too. Just be careful and watch the milk/water mixture when heating this up on the stove or microwave. It likes to froth and boil over if you aren’t paying attention…and evidently, I don’t pay attention….happens to me every dang time. 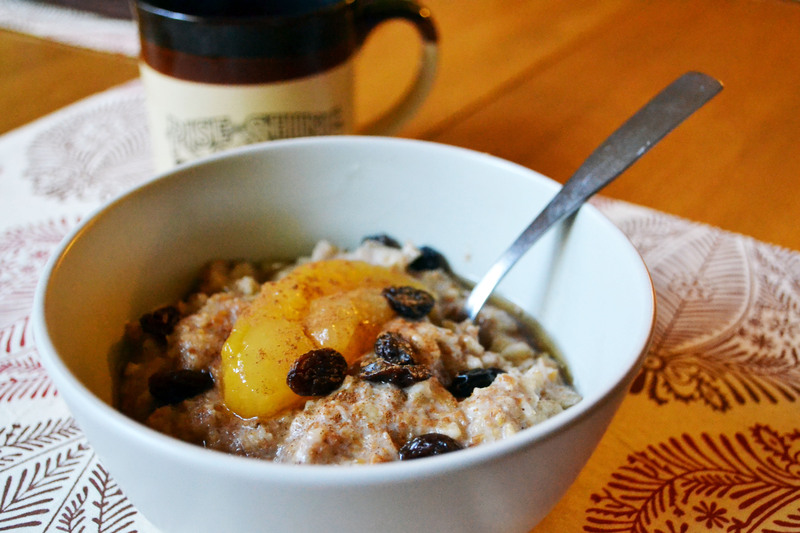 I like to add wheat bran for an extra fiber boost, keeping you fuller longer. You can make this on the stovetop or in the microwave. 1/2 cup wheat bran (if you don’t have wheat bran, double the oats). Bring water, milk, and salt to a boil. Keep an eye on this. She likes to boil over. Add oats, wheat bran, diced apple, cinnamon, and nutmeg (if using). Top each bowl with 1 to 2 tsp maple syrup. Pour some coffee and enjoy! Make these as individual servings. So cut the above recipe in half and add all ingredients except the maple syrup into separate bowls. Microwave for 2 to 3 minutes. Stirring every minute. But keep an eye on this lil’ bugger. It’ll boil out if you have too small of a bowl. Now, get some coffee already! Enjoy!